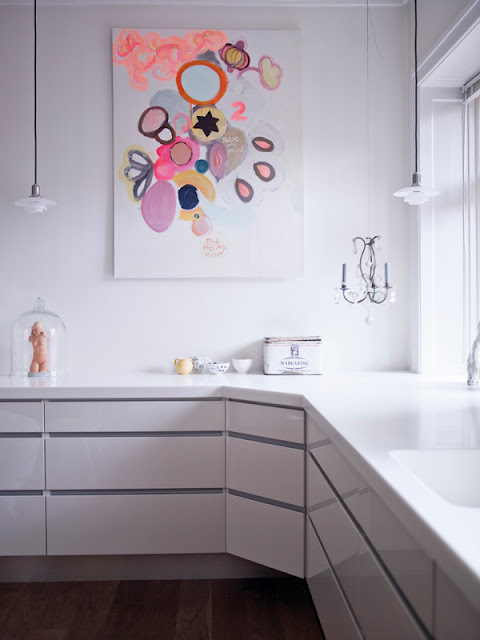 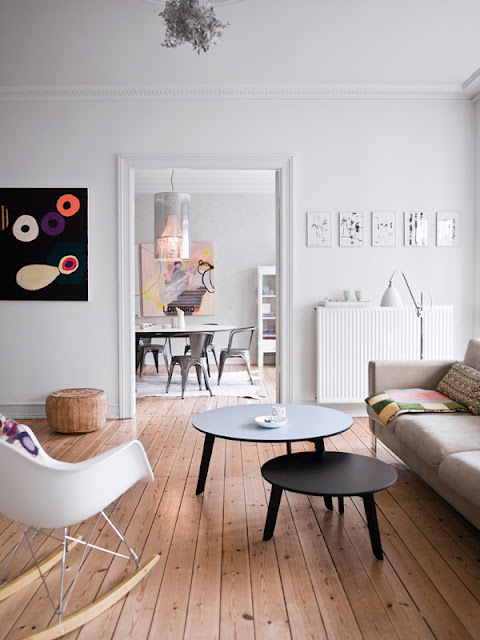 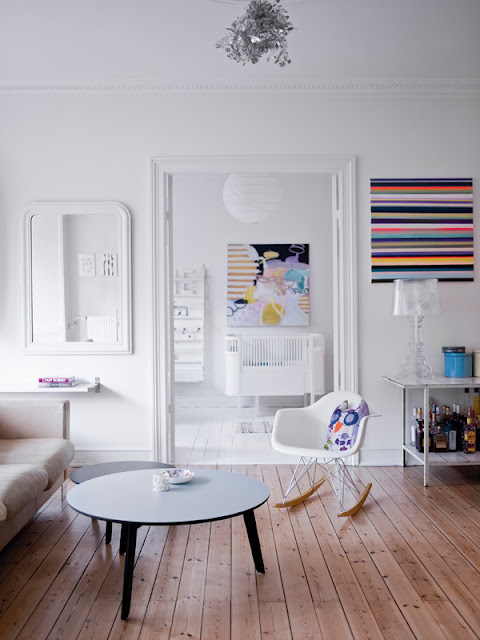 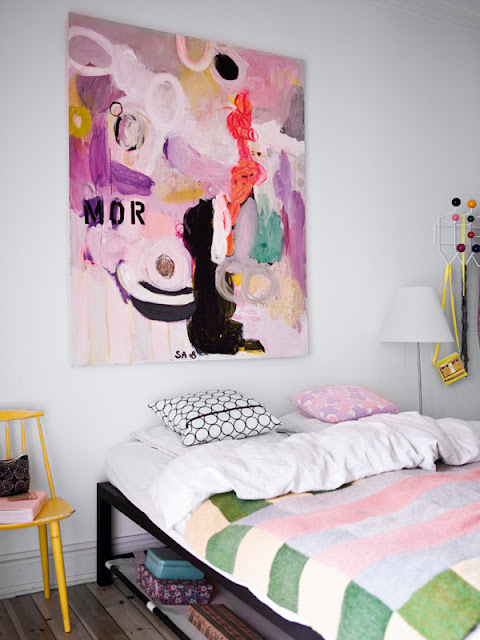 I absolutely love this apartment in the light en bright style which is so recognizable for Scandinavia. 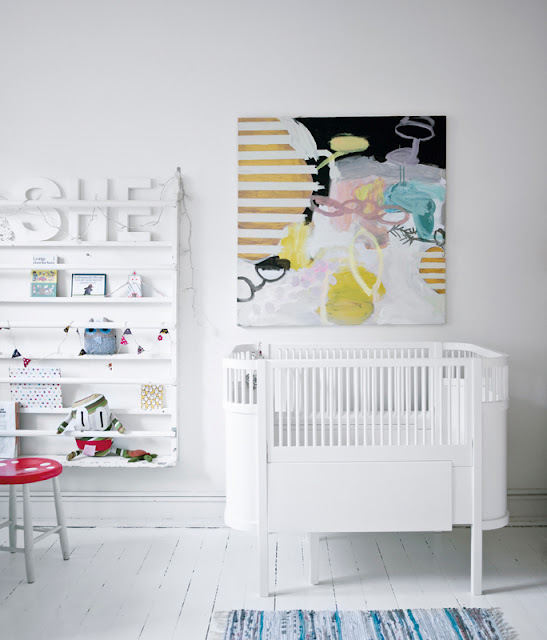 Also have a look at the subtile pastel touches and the beautiful paintings on the walls. 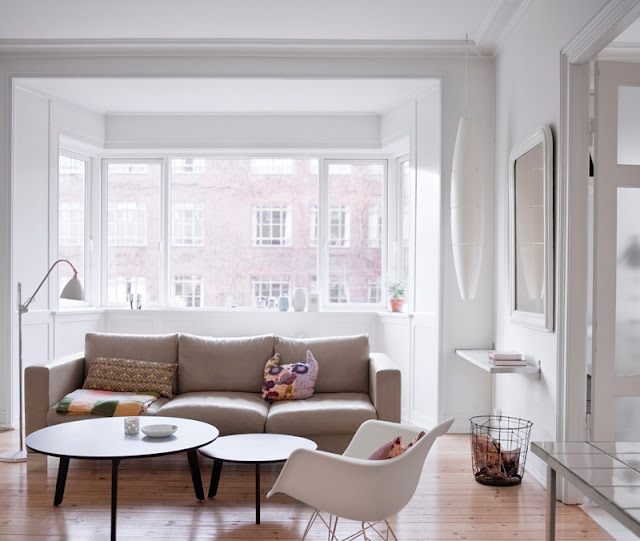 For me this apartment is perfect! 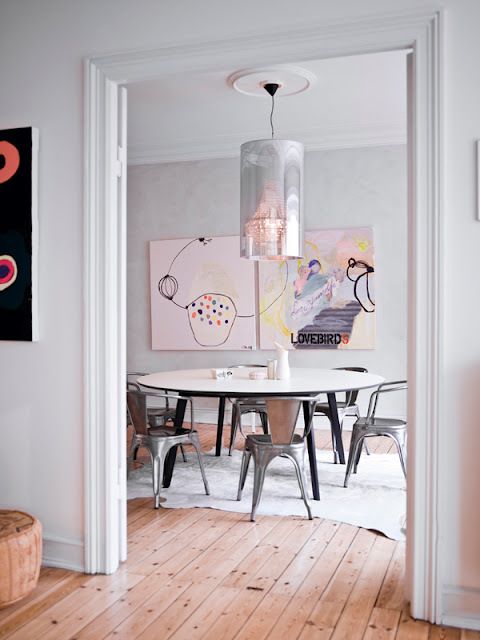 Light, art and pastel colors..